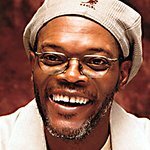 Samuel L. Jackson, star of films such as The Spirit, Snakes on a Plane and Pulp Fiction, will be hosting a star-studded benefit in London on June 11, 2009. The benefit – which is called “Shooting Stars in Desert Nights” – will take place at two locations. The benefit will start off at London Golf Club, where charity supporters will be able to play golf with Samuel L. Jackson and many of his celebrity friends. Then the evening will bring a luxury Black and White Ball Benefit, held at London’s Hurlingham Club, and a feast of wonders with a menu designed by famed Michelin Star chefs. Shooting Stars in Desert Nights will raise money for the Rainbow Trust and the Samuel L. Jackson Foundation. Rainbow Trust is a charity that provides practical and emotional support for families with a child suffering from a life threatening or terminal illness. The Samuel L. Jackson Foundation supports numerous charities including AIDS institutes, orphanages, the Dreams Can Be Foundation, the Breast Cancer Campaign, Red Cross, Save the Children and many others. Many stars will be coming out to join Jackson on the golf course and also at the decadent black and white ball. Some will be team captains for the golf competition preceding the ball. Team captains will include Jackson, Alice Cooper, Jesse Metcalfe, Damian Lewis, Michael Bolton, Luke Wilson, JJ Field and Flex Alexander. Michael Campell and Colin Montgomerie are the pro golfers who will be attending the event. Ticket packages for the evening can be found here. Shooting Stars in Desert Nights will be a day and an evening to remember with music from world class surprise performers, food, fun and a charity auction to support great causes.